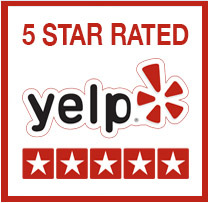 Ampacity Electric is your local owner-operated electrician service in Lyndhurst, New Jersey as well as in Essex, Passaic, Bergen and surrounding counties. 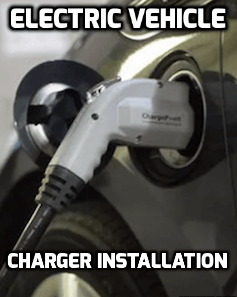 We specialize in solving electrical problems, repairs, electric service and panel upgrades, lighting, portable generator installations, and electric vehicle charger (EVSE) installation. 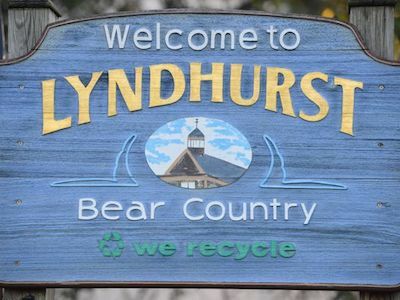 Do you want an electrician in Lyndhurst? Ampacity Electric provides efficient, expert service at all times. If you have need of a portable generator, a service for your electric panel, problems that need solutions, or general electric work, we’ll handle all your needs in a professional manner, providing tailored solutions to satisfy each individual Lyndhurst resident; after all, you’re a person, not a number. You want to ensure your family is safe and secure at all times and that’s also our number one priority. Our technicians respect your property and will leave your home as clean and tidy as when we first entered. Our workmanship is backed by a lifetime warranty on labor. Call us today on 201-406-2855 to discover why we’re the only electrician you’ll need for all your home’s requirements. Unless you’re thoroughly trained, educated and licensed, never play with electric wires. Apart from being extremely dangerous to the health of your whole family, you could end up in jail if caught because it’s illegal in almost the entire country. Use some common sense and call Ampacity Electric if you need help with wiring problems or new installations because the work we do follows strict safety standards and you’ll have peace of mind knowing the job was done professionally, correctly and safely. We can’t over-stress the importance of only using the right wiring and devices. NEVER CUT CORNERS when it comes to electricity because it’s like playing with fire. You don’t know what may happen. Because people are more dependent on technology today than ever before, wiring that’s too small can cause voltage and power distortion problems that can prevent appliances from working properly. However, having Ampacity Electric on call means you have no worries when it comes to handling all your electrical needs, big or small. All intelligent homeowners want to be prepared for possible problems. After all, you didn’t buy your house just to waste money. You wanted a safe, secure home for the whole family to enjoy. While it’s impossible to control disasters and times when Mother Nature gets cranky, the positive news is that you do have some control if you allow us to install a portable generator connection and link it to your power system. No doubt you’ve seen our electricians driving around your local streets in Lyndhurst, NJ, as we help your neighbors and friends. 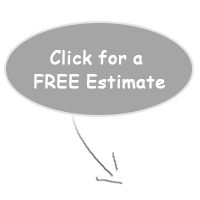 If you simply call us on 201-406-2855, we can arrange to install a portable generator connection in your home today. Are your fuses blowing frequently? Perhaps your breakers are tripping with alarming regularity? Do you have to turn off one appliance before being able to use another? If one or more of these scenarios describes you, it’s probably time to upgrade your panel. Don’t dismiss these incidents as merely being inconvenient! It’s far more serious and can affect the safety of your beloved family and yourself. An old panel can cause electrical shocks and fire and, before you know it, your house is a pile of burnt rubble. Dealing with electricity is a very serious business and that’s why Ampacity Electric only have trained experts in our team. Call us now to help you with general electrical work, troubleshooting or panel upgrades instead of waiting until it’s too late! Call 201-406-2855. Ampacity Electric recently installed a generator for my home and we could not have been happier with our experience. From start to finish, Ampacity was a pleasure to deal with. My wife and I were very pleased with the polite, professional service. Our new generator was installed with minimal hassle and it works great! I would not hesitate to call them back for any future electrician needs. Excellent electrician!! Called Ampacity for a whole house generator install and couldn't be more pleased. 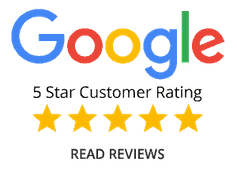 From the first call for an estimate to the completed job, all work performed was flawless and they kept my home CLEAN. As a general contractor I've had experience working with many electricians but Ampacity truly stands out. Extremely knowledgeable, friendly, took the time to explain everything in detail to my wife and I and stands behind their work. No surprises, just a great job. I'll never be in the dark again! !